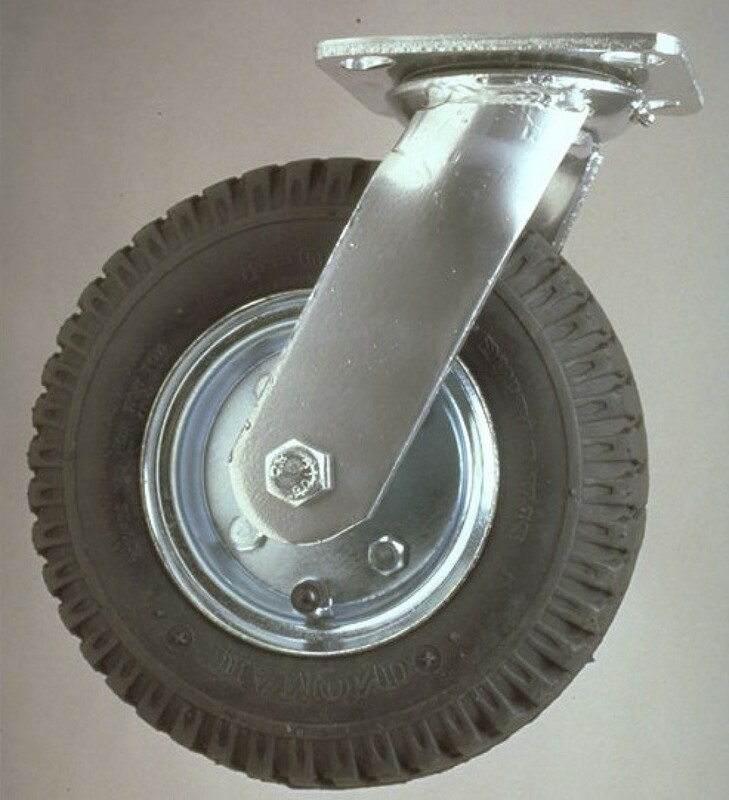 Pneumatic casters and wheels, sometimes referred to as air-filled wheels, are great for applications that require crossing uneven terrain or various types of terrain. 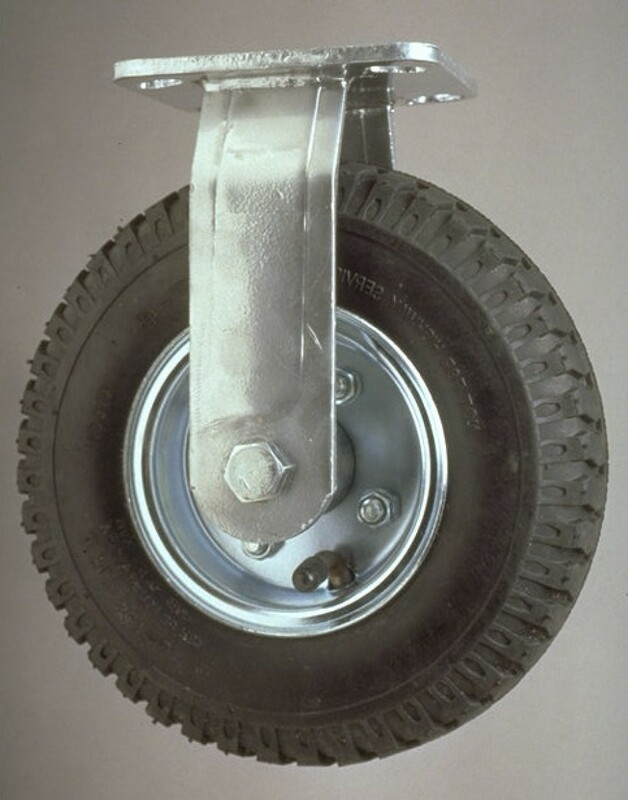 The pneumatic wheel is inflated with air and offers cushion and shock absorption for those sensitive materials that require a smooth ride. 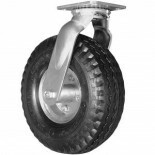 Casters with pneumatic wheels can be used indoors or outdoors and offer an extremely quiet, smooth ride. Pneumatic casters are popular for equipment that is used outdoors on gravel, parking lots, lawns, and construction sties. 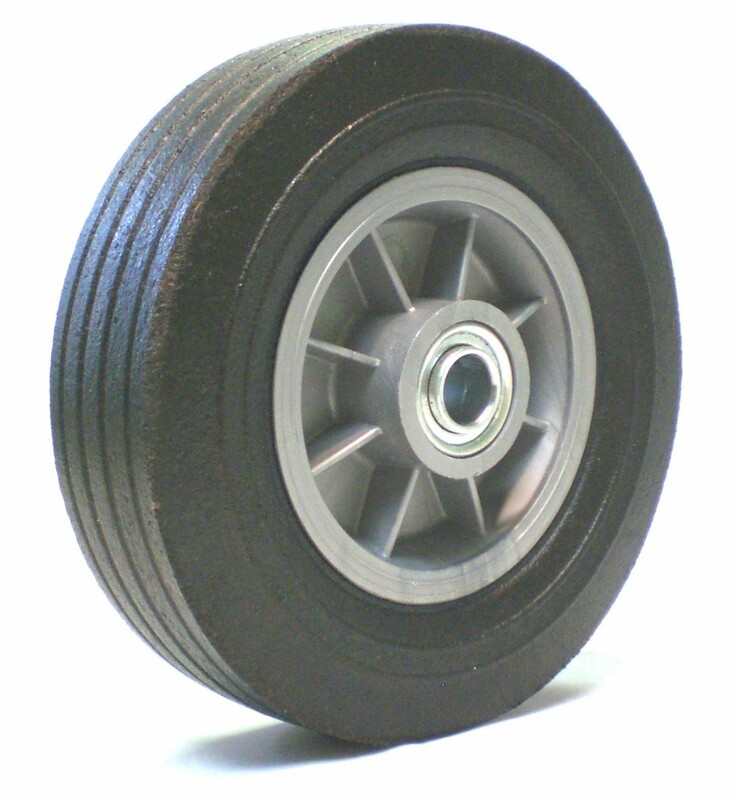 Pneumatic wheels are available in the standard black rubber and in non-marking gray. 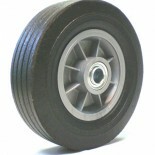 Semi pneumatic casters are casters with rubber wheels that are not inflated like a pneumatic. 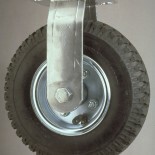 Instead, semi-pneumatic casters have an air pocket molded within the wheel. 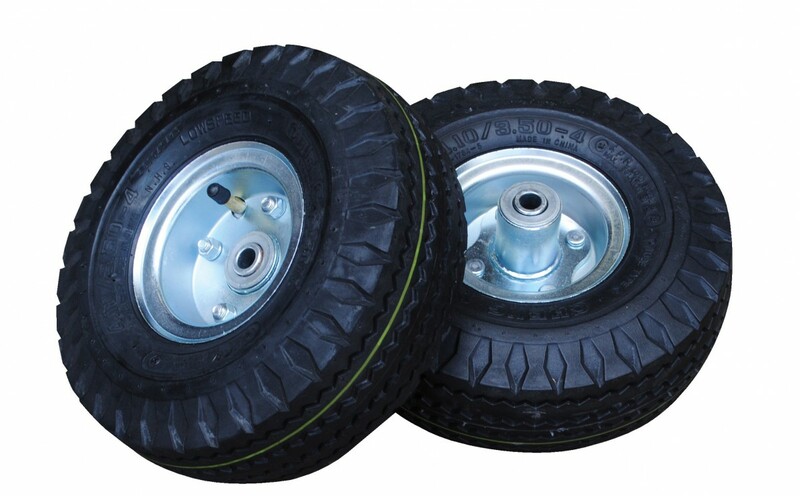 While the semi-pneumatic wheel has slightly less shock-absorbing than the pneumatic wheel, the benefit of the semi pneumatic wheels is that they will not get a flat! 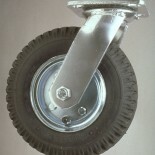 Similarly, foam filled wheels, and casters with foam filled wheels, will not get a flat! Foam filled wheels are the very same pneumatic wheels but instead of being inflated with air, they are filled with a foam material. 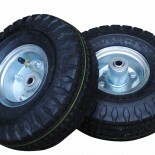 As a result, the foam filled wheels and casters offer properties similar to pneumatics but without the hazard of going flat. Our experts will be glad to work with you to determine which wheel is right for you. Call us at 1-800-733-4758!